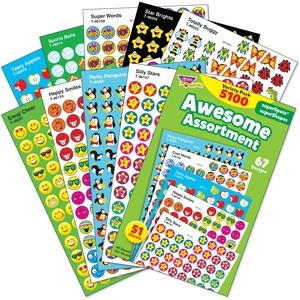 Assortment of colorful stickers delivers little rewards for big successes! Stickers are the perfect size for Trend's Incentive Pads. Children love them for trading and collecting. Ideal for kindergarten to fifth-grade (ages 5 to 11).